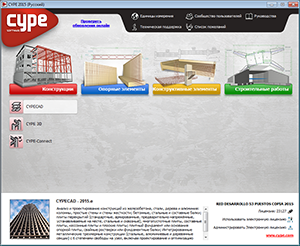 As of the 2015.e version, CYPECAD, CYPE 3D and CYPE-Connect can be installed in Russian. 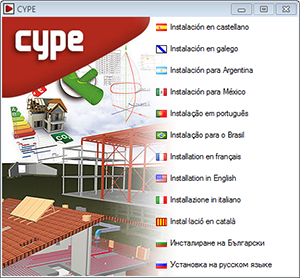 It is also possible to install CYPE programs using the Download Manager, which is available in all of CYPE’s Download Area webpages. The Download Manager allows for the programs to be installed in any of the languages available: Spanish, Catalan, Galician, Spanish for Argentina, Spanish for Mexico, French, Portuguese, Italian, English, Russian and Bulgarian. Fascicule n°62 – Titre I- Section I Règles techniques de conception et de calcul des ouvrages et des constructions en béton armé suivant la méthode des états limites – BAEL 91 révisé 99. These codes were already implemented in CYPECAD, CYPE 3D and other CYPE programs as of previous versions. Now, in the 2015.e version, these codes are implemented in “Punching shear verification” and hence, also in the punching shear check carried out by CYPECAD in accordance with code criteria. This check was implemented in CYPECAD in the 2015.a version and, since then, coexists with the tangential stress check. Diseño structural. Cargas de viento. Norma Chilena Oficial Diseño Sísmico de Edificions (Includes modifications of decree n° 61 (V. and U.) of 2011). Specified by users based on his/her criteria. 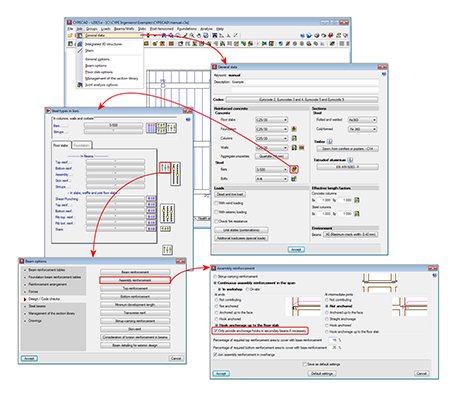 New assembly reinforcement and skin reinforcement design options have been implemented and can be used in jobs for which the concrete and seismic (if applicable) codes allow for the use of the advanced beam editor. A new option “Only provide anchorage hooks in secondary beams if necessary” has been implemented. This option is active by default, and so has the same effect as in previous versions. If the option is deactivated, the assembly reinforcement hook will always be provided at secondary beams. Allows users to specify the minimum skin steel area at each side of the beam. If the steel area indicated by the design code is greater than that indicated in the option, the program will apply the greatest value. Allows users to anchor skin reinforcement as of the internal face of the column where the dimension of the column in that direction is greater than a user specified value . For other cases, the skin reinforcement will be anchored as of the column axis. This option avoids having to provide excessive anchorage lengths in wide columns. Allows users to indicate the minimum anchorage length for the skin reinforcement. The program will check the minimum length indicated by the code and will apply the greater of the two. 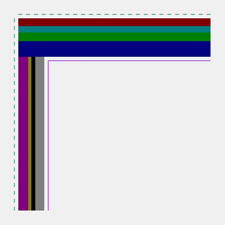 The frame drawings in the advanced beam editor have been improved when the option to draw larger bars further away has been activated. 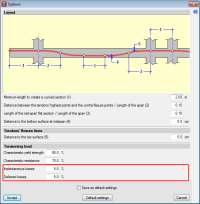 The possibility to separately define the reinforcement loss for instantaneous and differed post-tensioned slabs has been added. Therefore, when analysing, two post-tension loadcases will appear: one with instantaneous losses and another with total losses (instantaneous + differed). A new combination will also appear in the combinations in which the initial post-tension loadcase will act with the self-weight of the structure, so the post-tensioning without any loading, one of the most critical steps when tensioning the tendons of the floor slab, can be controlled. 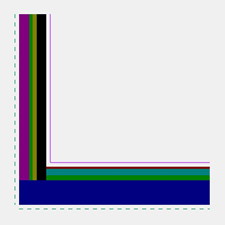 The precision of the window in which the elevation difference of the connections is defined, has been increased to 1mm. In previous versions it was limited to 5mm. The option “Copy elements” (Job > Copy Elements) allows users to copy a selection of elements to a new position. 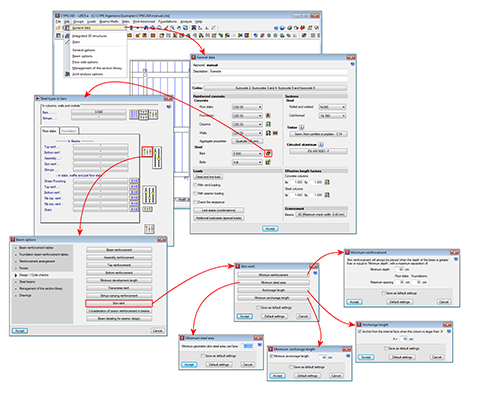 As of the 2015.e version, the same elements can be copied repeatedly without having to be reselected. 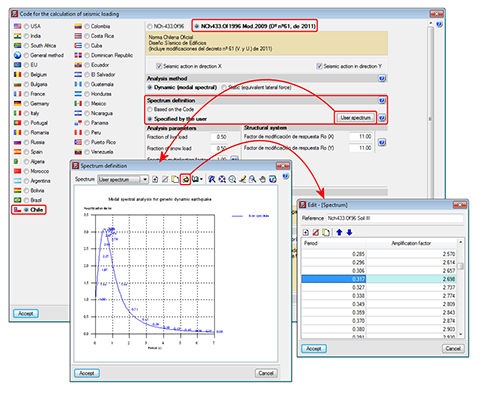 The process to calculate the infiltration flows in accordance with the EN 15242 code (detailed iterative method) has been optimised. 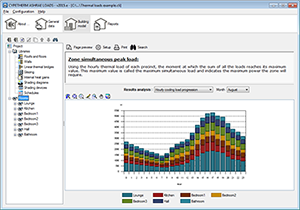 The time required to calculate the annual simulation in hour intervals has been reduced by half. 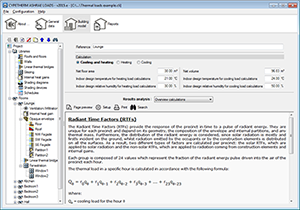 The legibility in the CTE DB HE 1 justification report has been improved by adding different icons in the tables referring to the elements of the thermal model (light and heavy elements, and thermal bridges), which refer to the different element types defined in the model. 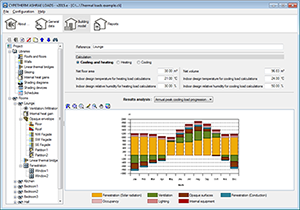 As of the 2015.e version, CYPETHERM ASHRAE LOADS has broadened its immediate result output to offer a better understanding of the calculations that have been carried out and provide the analysis of the effects each component of the job has on the final result of the thermal loads. To do so, the program provides tables, graphs and charts for each element of the job and are updated when components are added or properties are modified, without having to print out the report of the results, allowing user to carry out a direct and immediate analysis. 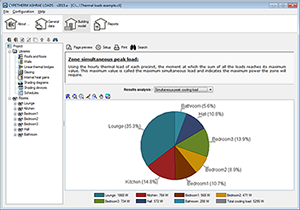 The tables, graphs and charst that are visible for each job element are grouped in a drop-down menu called “Results analysis”. 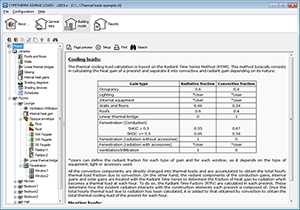 This menu also contains the “Overview calculation” option, which, when selected, provides the detailed calculations for each component and the parameters that have been considered. This way, a justification report of the heating and cooling thermal load calculation process is obtained. 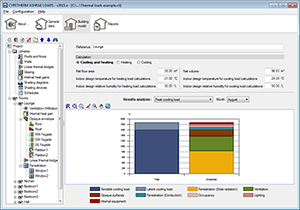 New material libraries have been added. A library with materials of the EN ISO 10456 code and another with the materials of the LIDER library have been added to the existing “Matériaux décrits dans la norme RT 2005”. More information can be found on the webpage. . 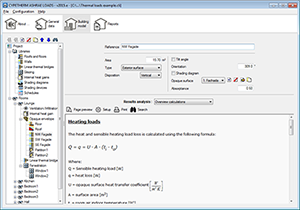 The 2015.e version of Arquimedes has been updated to adapt the quantity import from ArchiCAD for “ArchiCAD® 18 (64-bit)”.